The following public information provided by the Winlock School District is intended to be up to date. Winlock School District cannot verify the accuracy of outside webpages linked in this page. Title 1, Part A of the Elementary and Secondary Act (ESEA) provides financial assistance to states and school districts to meet the needs of educationally at-risk students. The goal of Title l is to provide extra instructional services and activities which support students identified as failing or most at-risk of failing the state’s challenging performance standards in mathematics, reading, and writing. CW28A.405.100 2(e) and 28A.405.100 6(e) requires school districts to adopt an approved instructional framework and leadership framework and post the district's selection on its website. Winlock uses the Charlotte Danielson Framework. 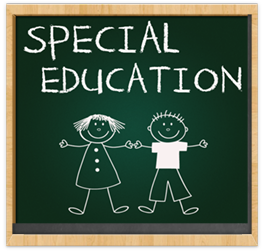 To request special education records please contact Lewis County Special Education Co-op. Any application and any required policies, procedures, evaluations, plans, and reports relating to Winlock School District’s special education program are available for public review and comment. The District also welcomes public participation and input regarding the planning and operation of the District’s special education programs. For further information, please contact the District office at 785-3582. RCW 281.325.050 Associated student body program fund—Publication of information on school district web site. Associated Student Body (ASB) funds are public monies raised on behalf of students, and are used for optional, extra-curricular events of a cultural, athletic, recreational, or social nature. In general, carryover amounts from one year to another are due to anticipated expenditures for student activities which take more than a year of fundraising. These funds are not available for curricular, or graded activities. The financial report reflects the detailed ASB account balances by school. As a requirement of FERPA, educational agencies must, at minimum, inform parents/eligible students of the following rights. 2. The right to request the amendment of the student’s educational records that the parent or eligible student (age 18 years) believes are inaccurate or misleading. 6. The right to information about who to contact to seek access to or amendment of educational records. AHERA (Asbestos-Hazard Emergency Response Act) legislations referenced in the above title require all school districts to inspect, test, evaluate, and manage all known suspected asbestos-containing materials in school buildings. Removal is not required unless the material is in poor condition and presents an immediate health hazard. All required work in the Winlock School District was done by an EPA certified firm. This legislation also requires school districts to notify teachers and other employees about Management Plans for all school buildings and support facilities. This issue of the Cardinal Courier is being used to convey the required notification in the Winlock School District. Appropriate notifications will also be sent to employee and PTA/PT organizations. The results of the inspection and recommended management plan for each school building are available in the school or district office and are available to any interested party. The asbestos-containing materials in the Winlock School District office are in floor coverings, either VINYL ASBESTOS TILE (VAT) or sheet vinyl, both of which are very stable products found in walls, ceilings, and crawl spaces. All other buildings are asbestos free. For more information contact the district designated person, Dr. Richard Serns, at 785-3582. Throughout the school year, pictures of our students will be published as a means of sharing with the community various school activities and events. Such publications include, but are not limited to, The Winlock School District Newsletter, The Chronicle, The Town Crier (formally known as the Lewis County News), and the Winlock School District web page. This newsletter serves as notification of such student publications. If you do not wish to have your child/children participate in such publications, please contact the Winlock School District Office in writing at 311 NW Fir Street, Winlock, WA 98596 or call 785-3582. Winlock School District’s Report Card can be viewed at the Washington Office of Superintendent of Public Instruction. At this site you will find demographic data, assessment data, required elements (reading, mathematics, and science), financial data, accountability data for AYP, NAEP results, if applicable, and teacher information for each school in the District and for the District as a whole. You may also find the State of Washington’s report card as a basis of comparison. On the Winlock School District Website, there is also a link to the District report card and to the schools’ report cards. Winlock School District qualifies for Title I and Title IV Funding.